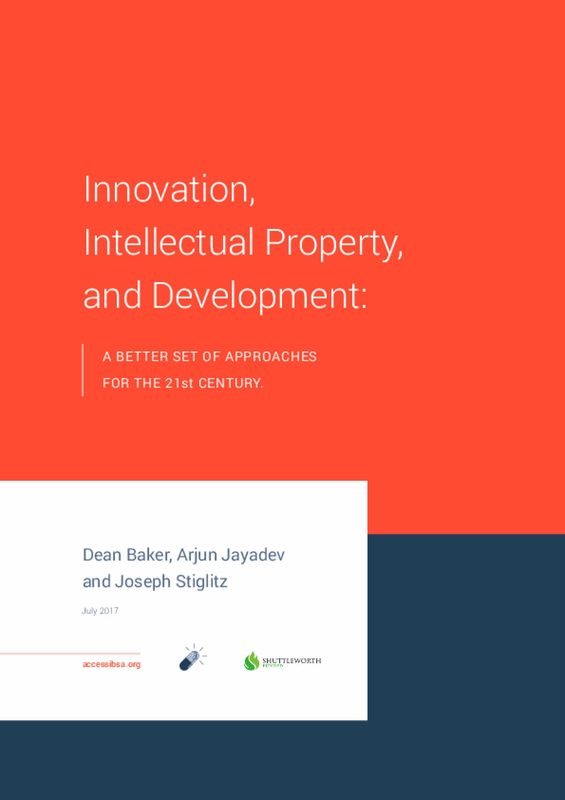 This paper aims to provide an intellectual basis to think about the relationship between development, intellectual property and innovation; where we currently are and what alternatives are available. For the most part, we are concerned less with the implications of current IP laws for the advanced countries as we are with their impact on developing countries. We focus here not only on the current pathologies of the system and on potential alternative ways to tackle its most egregious excesses; but on a more positive note, on what kind of "system" would best promote development and well-being in the developing world. We are looking for a world with new and better rules for intellectual property. Just as some have begun to think about re-writing the rules of the American economy to ensure a more just and efficient system, the time is ripe for doing the same for the global economy, especially with regard to the IP system.